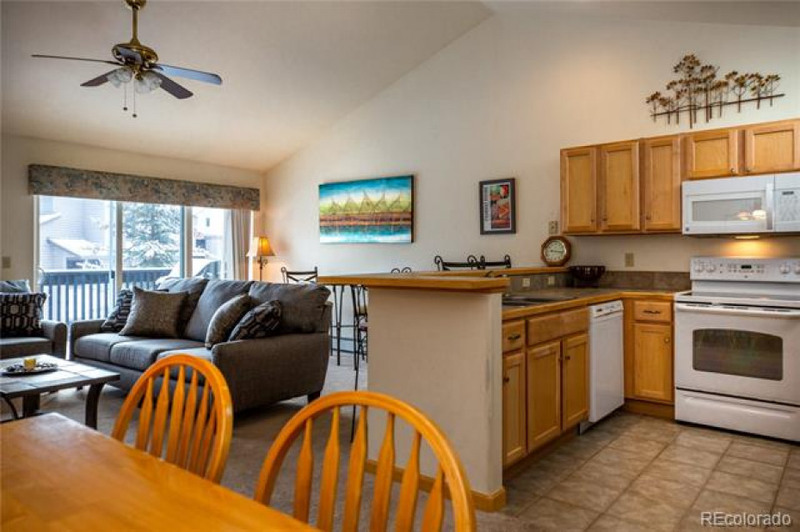 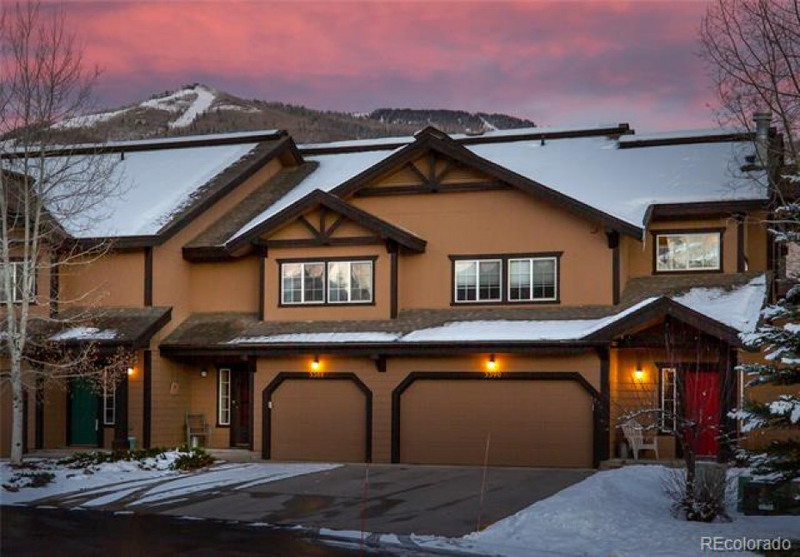 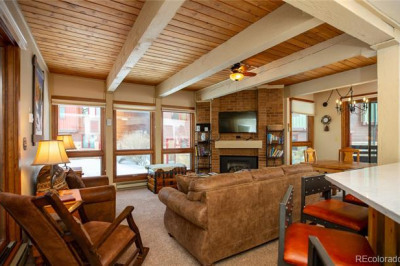 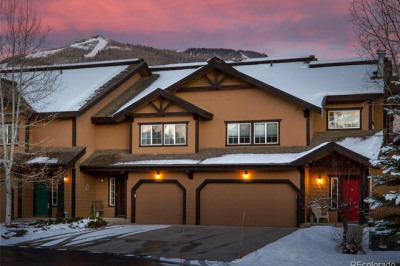 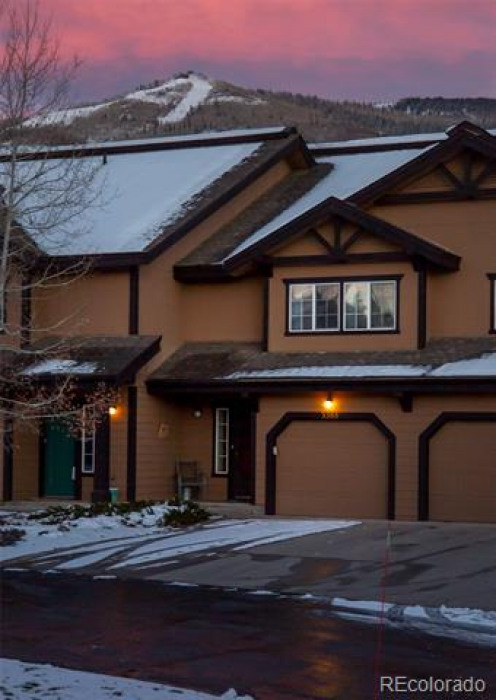 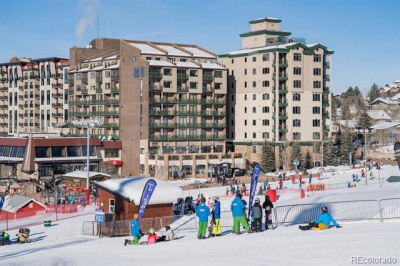 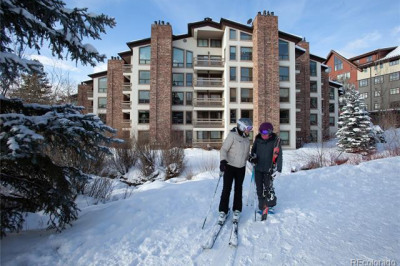 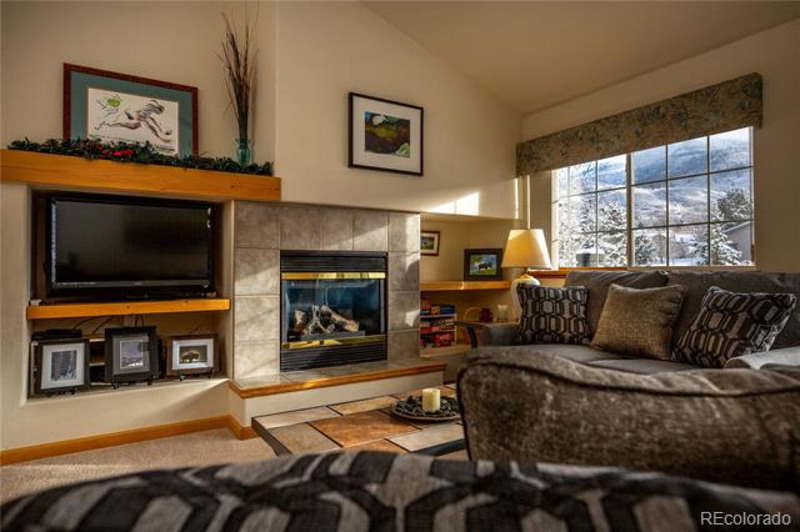 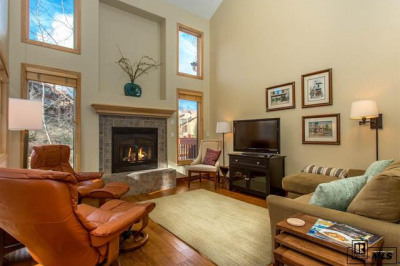 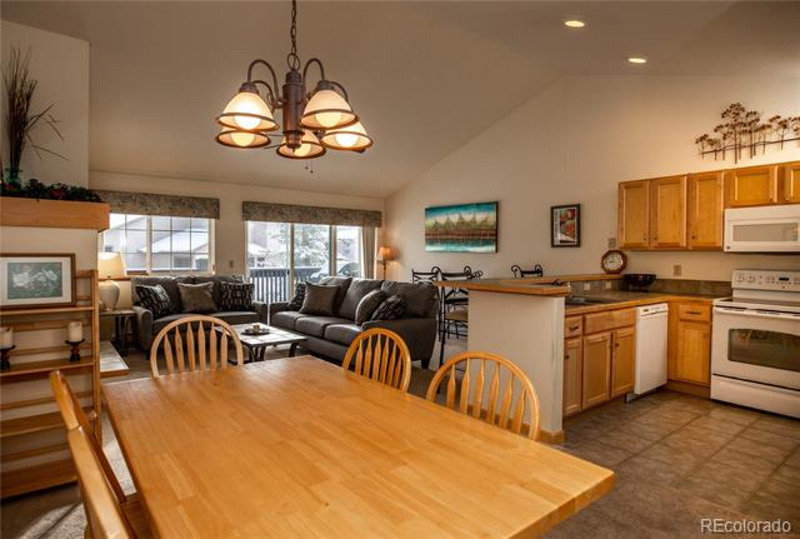 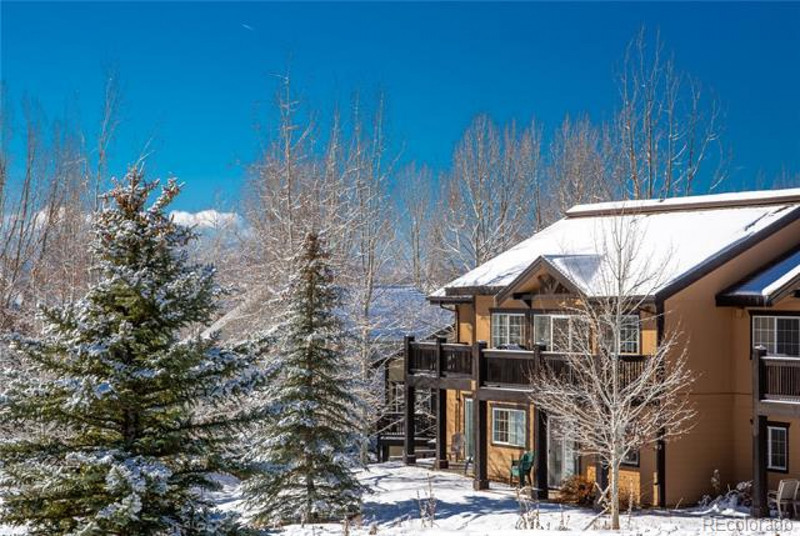 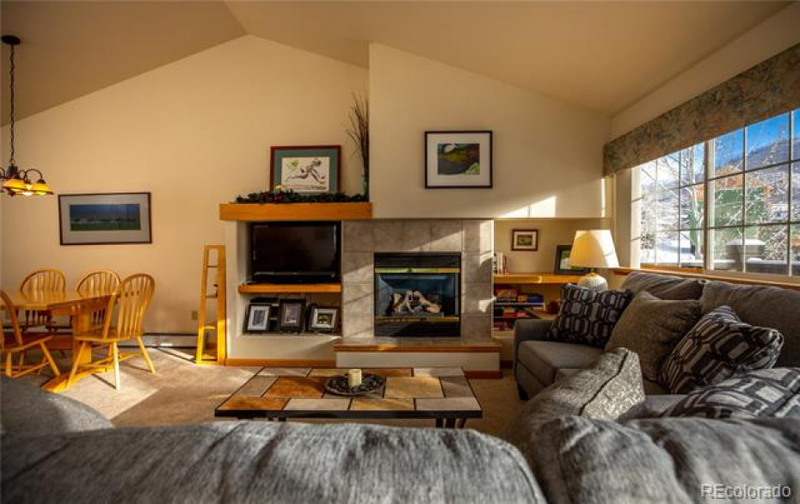 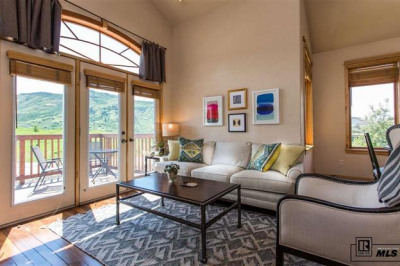 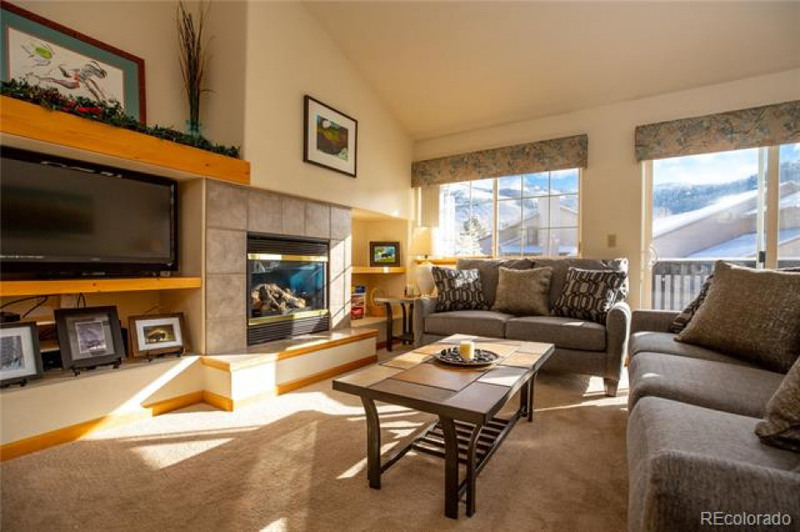 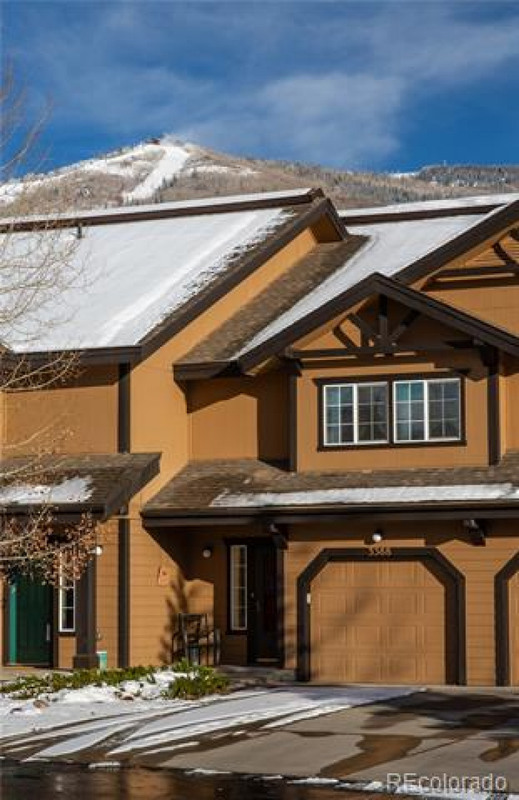 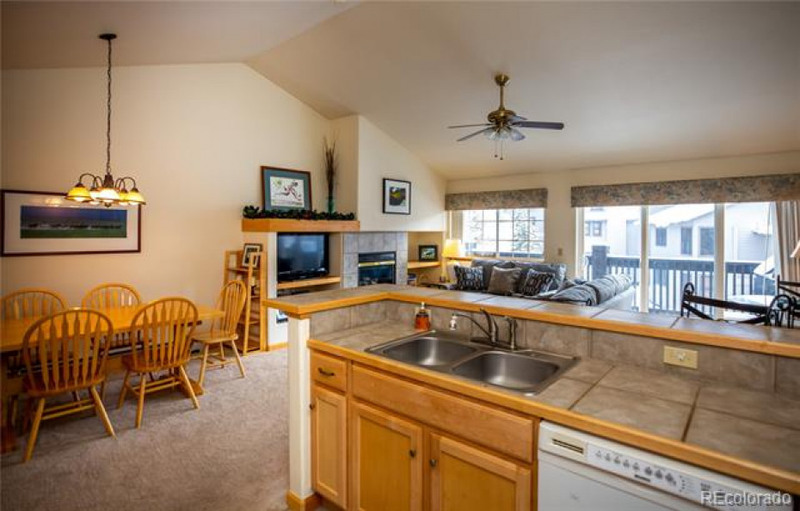 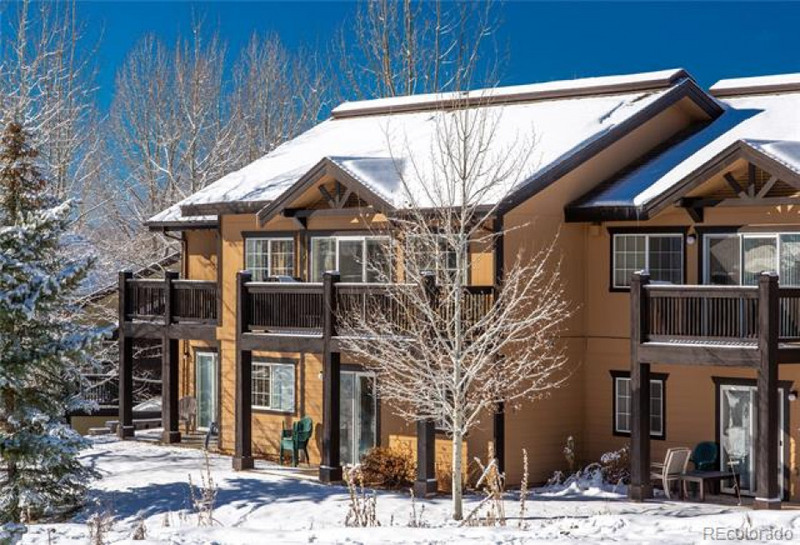 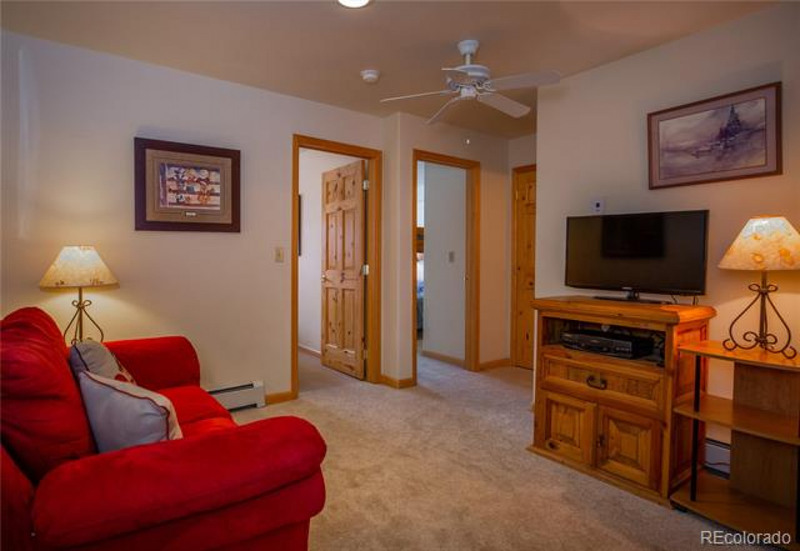 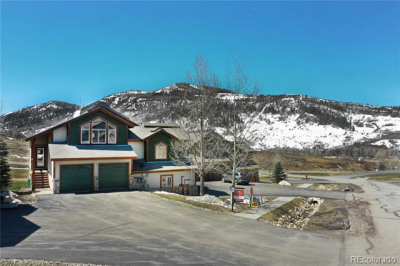 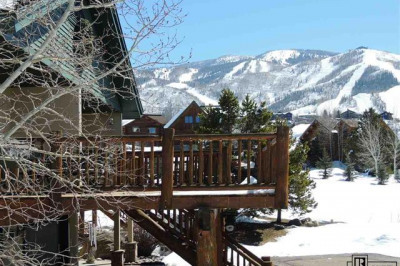 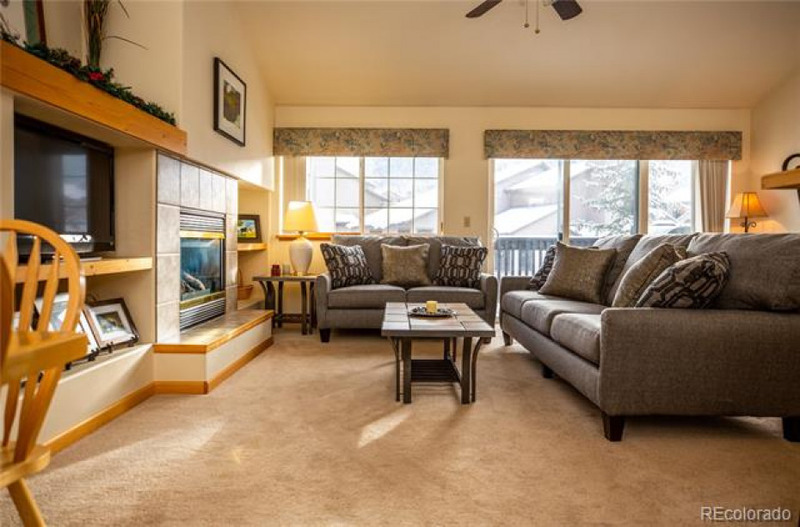 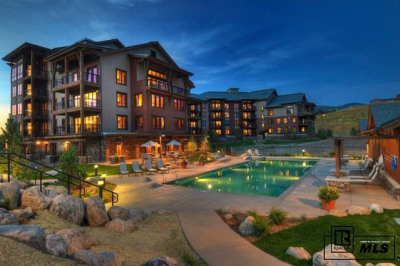 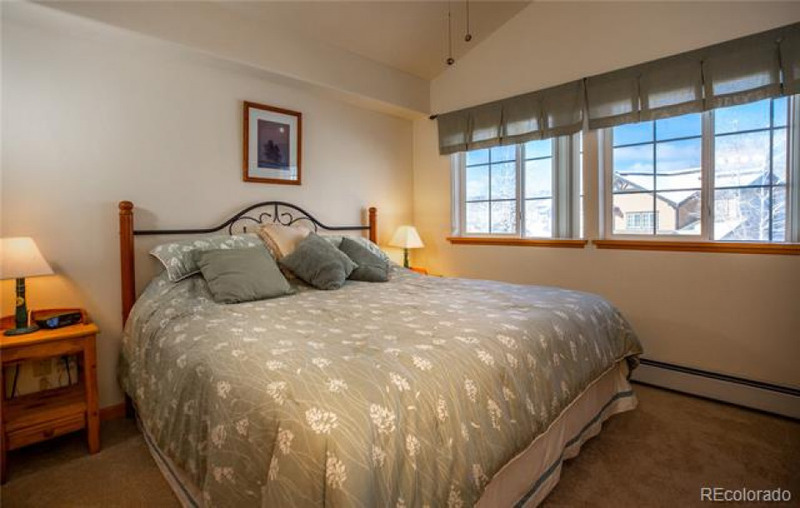 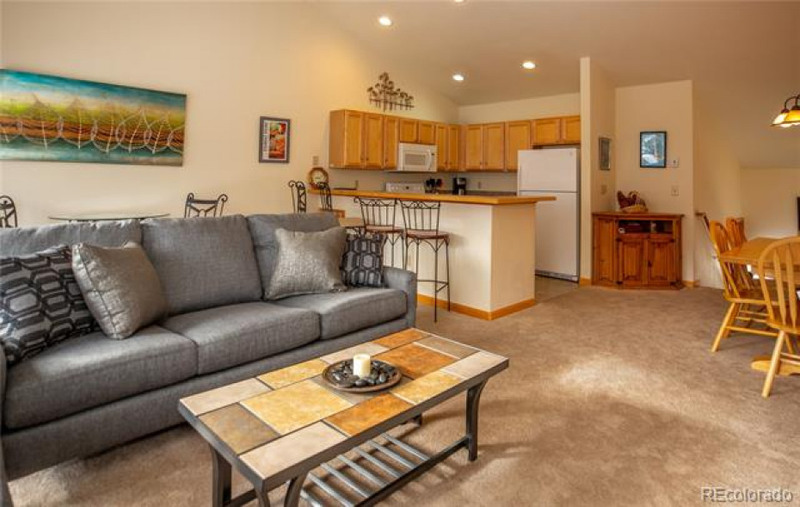 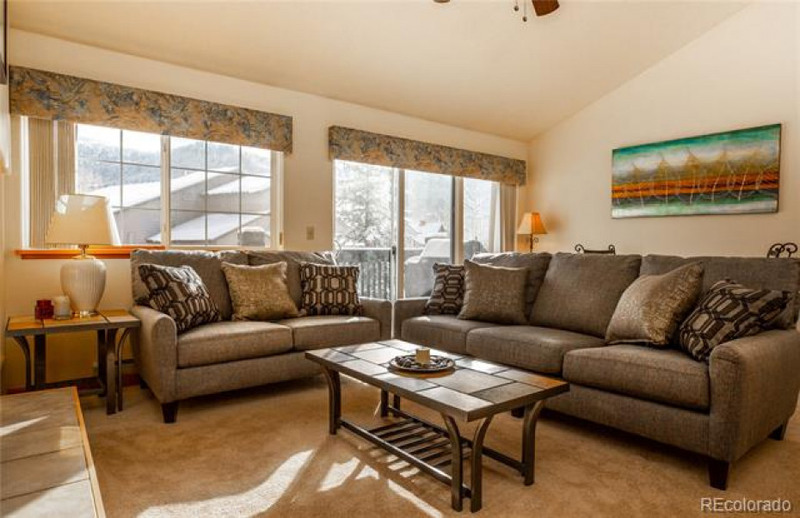 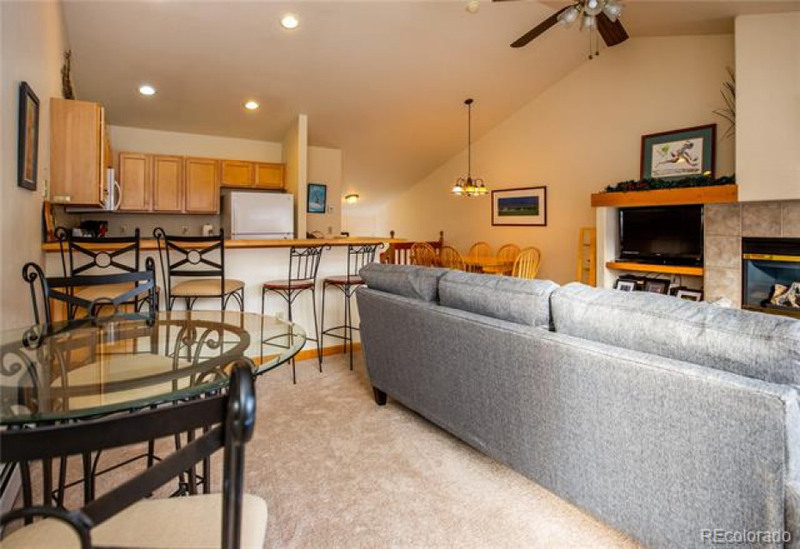 With direct Steamboat ski area views, this well cared for 3 plus bedroom Quail Run unit boast vaulted ceiling and an abundance of natural light and privacy. 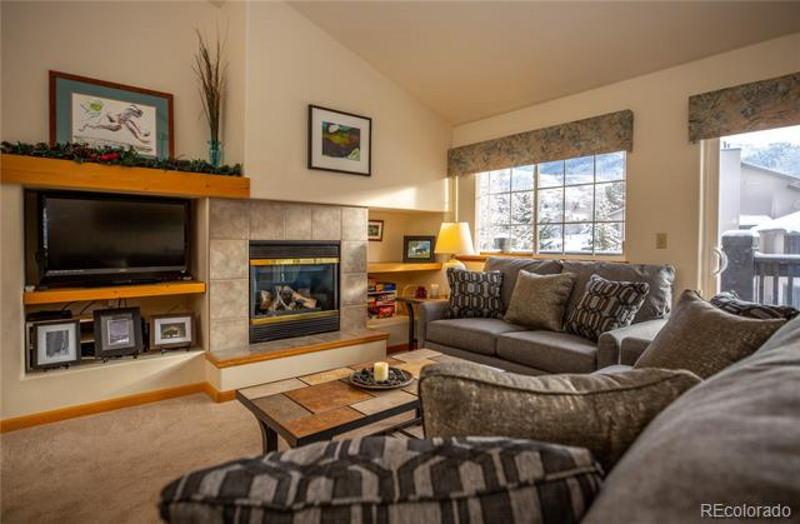 The floor-plan is open and spacious with a gas fireplace and ample built-in cabinetry. 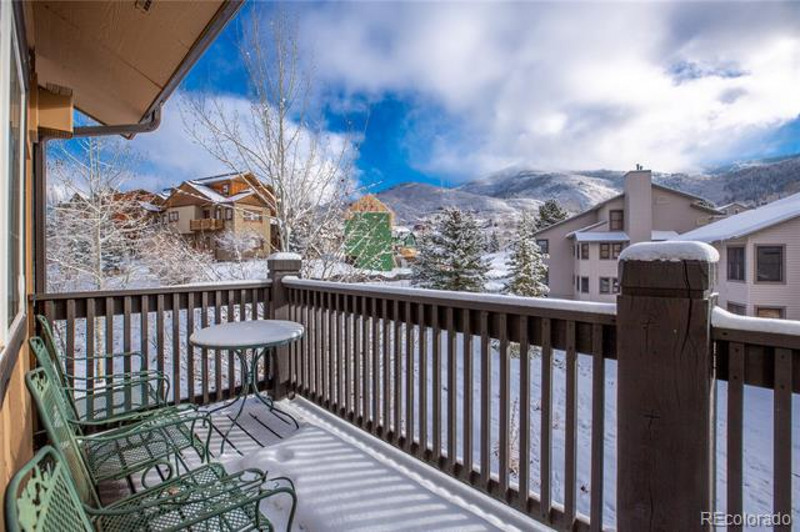 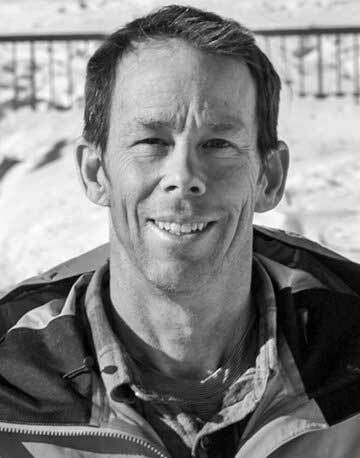 There’s an east-facing deck – perfect for morning coffee or afternoon BBQ’s and watching the alpenglow on the slopes. 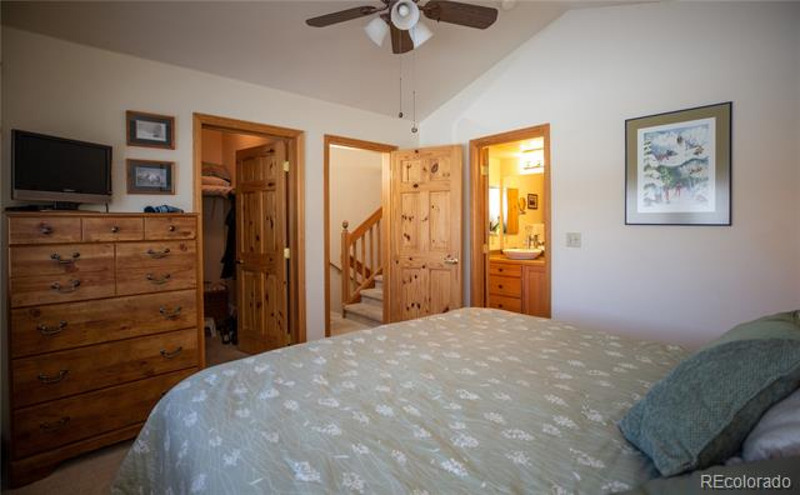 The master bedroom faces west so you’ll have great afternoon sun. 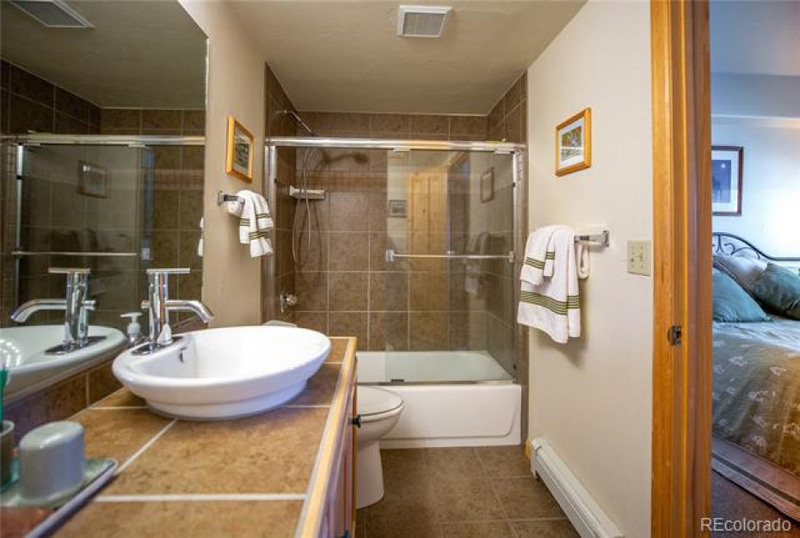 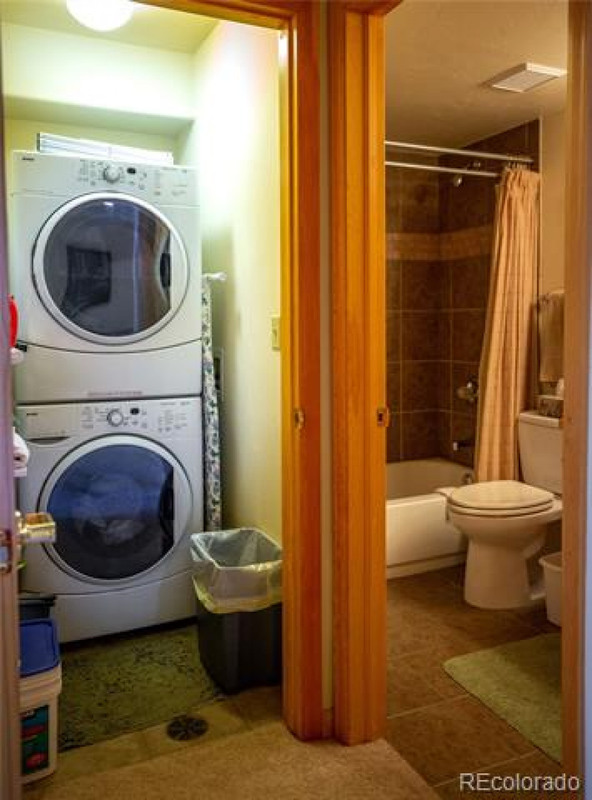 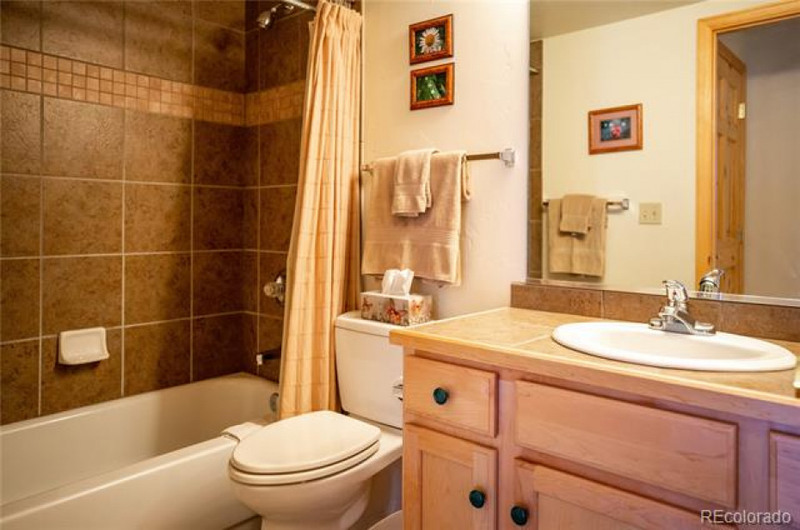 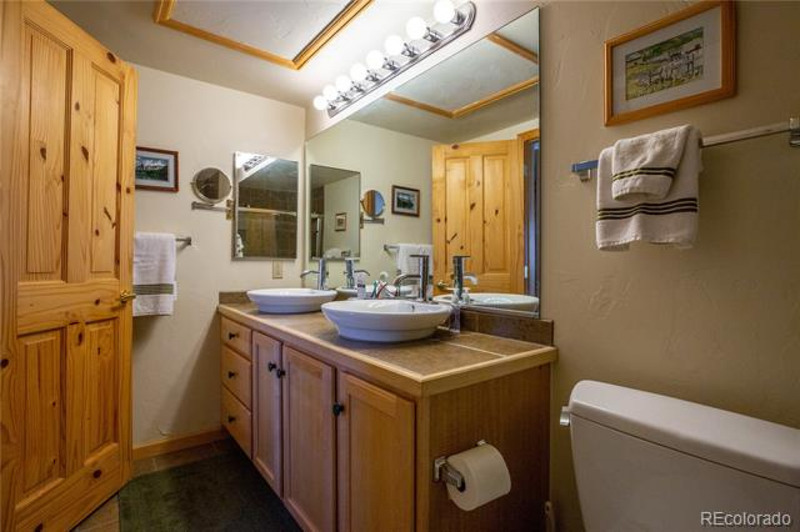 The master bath is spacious and features a tiled shower plus updated and somewhat hip dual-vanity sinks. 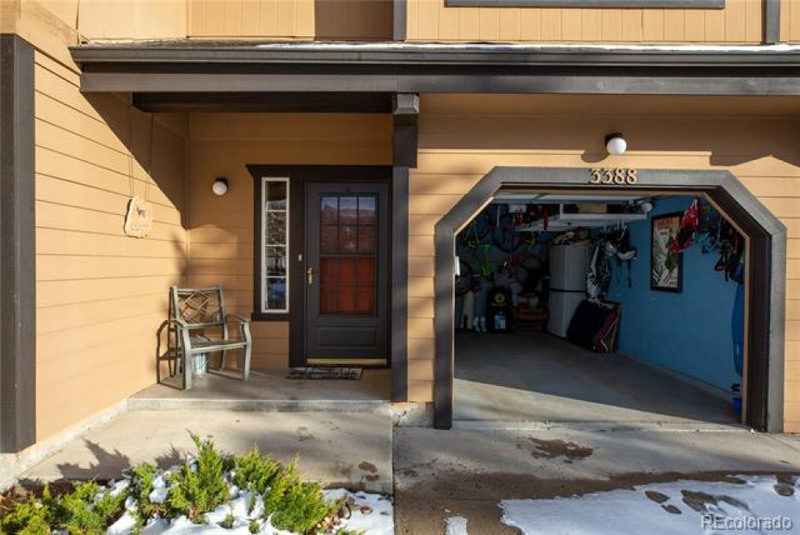 Two additional bedrooms are on the lower level; one with a walk-out sliding door to a patio and lawn - makes letting Fido out easy. 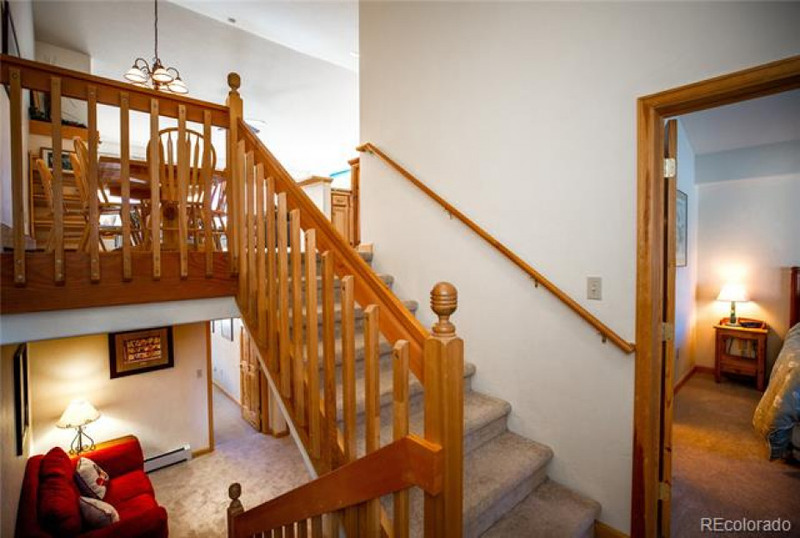 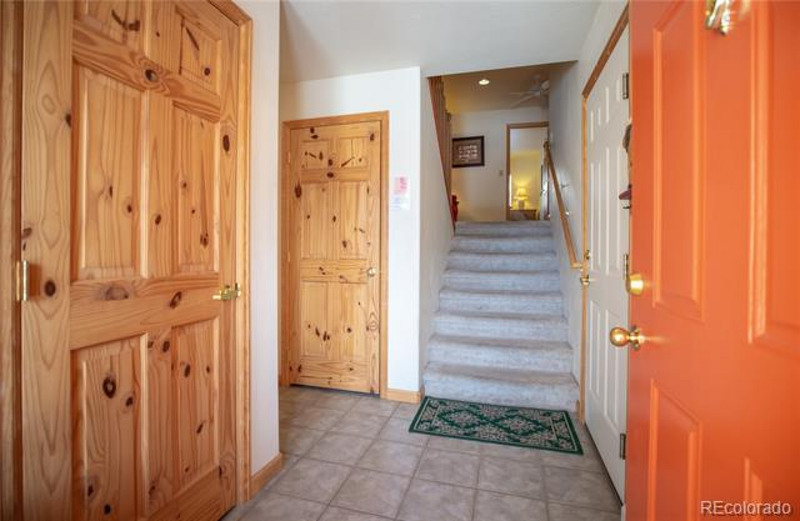 There’s also an additional family room in the lower area plus a laundry closet and full bath. 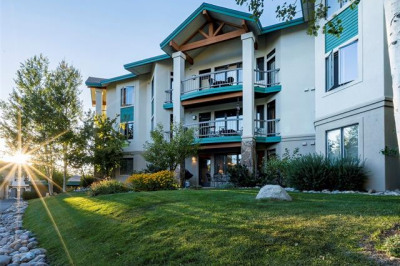 Close to the core trail and free bus service, the location is ideal for a primary residence or second home. 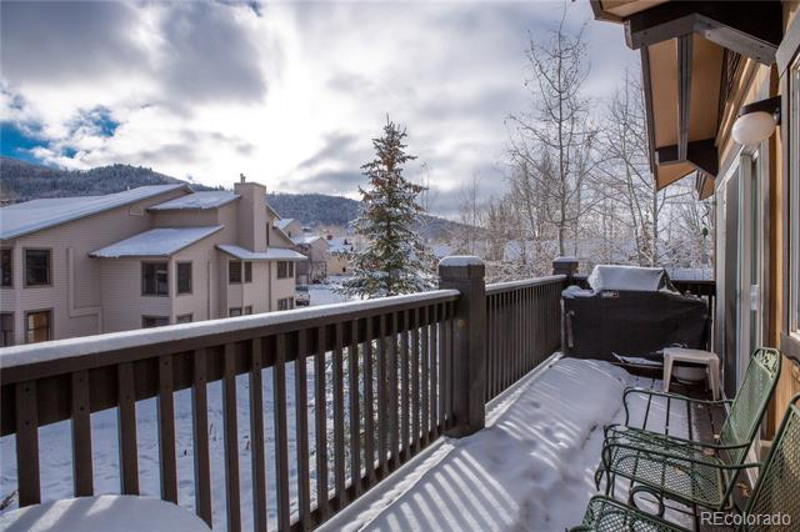 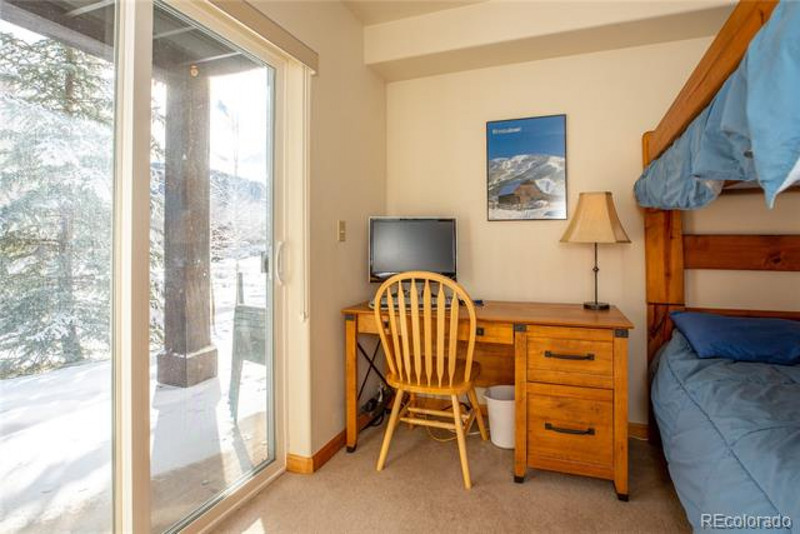 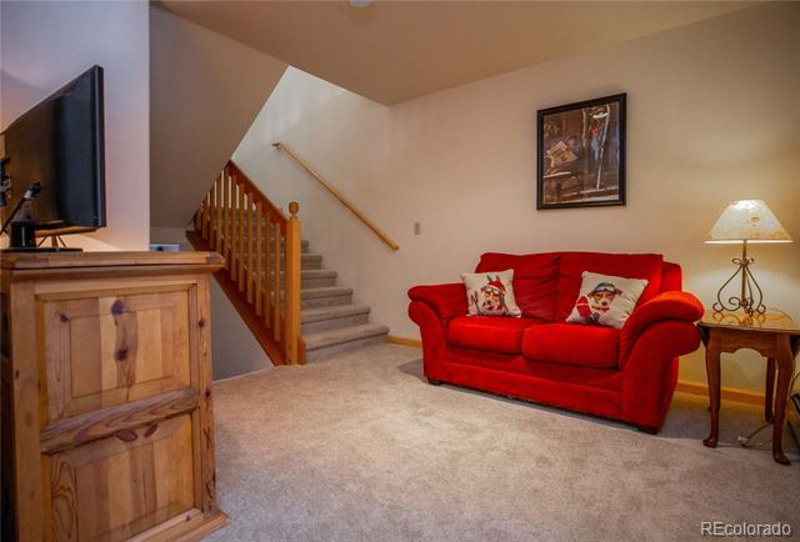 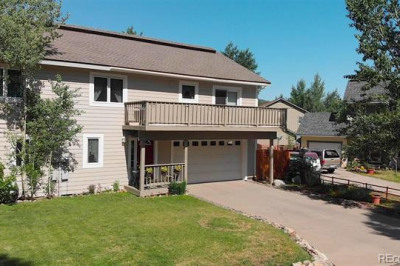 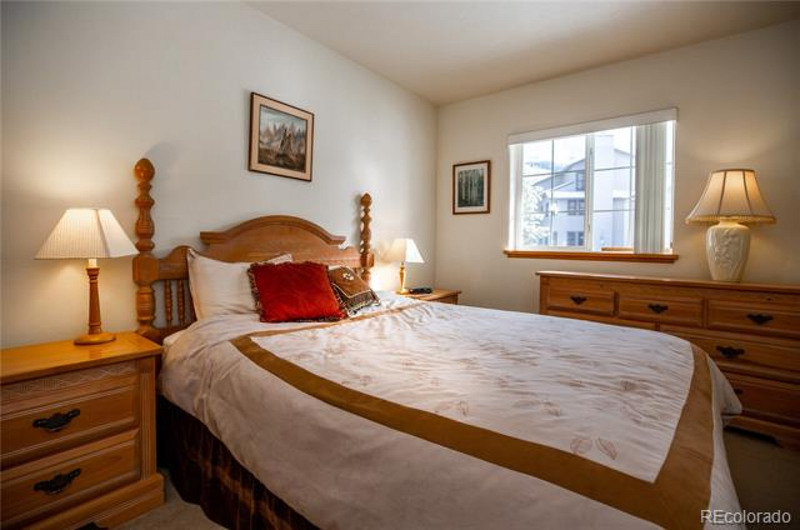 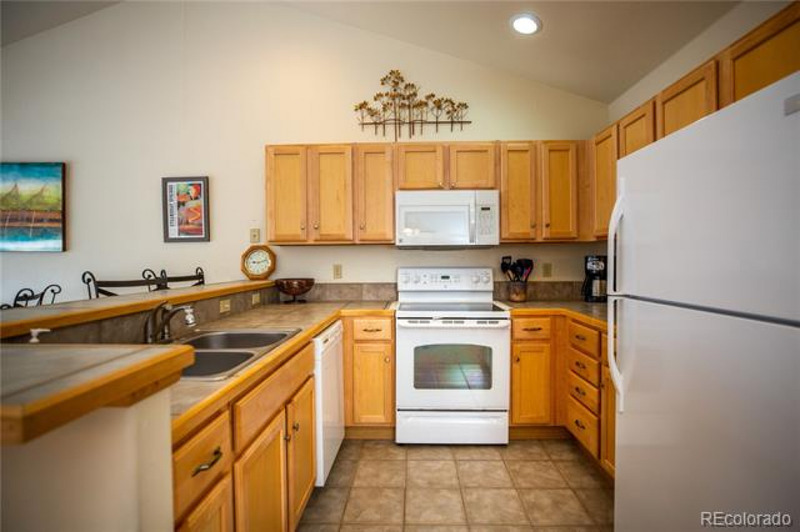 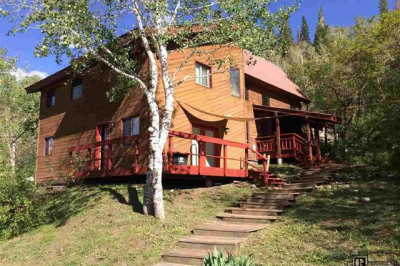 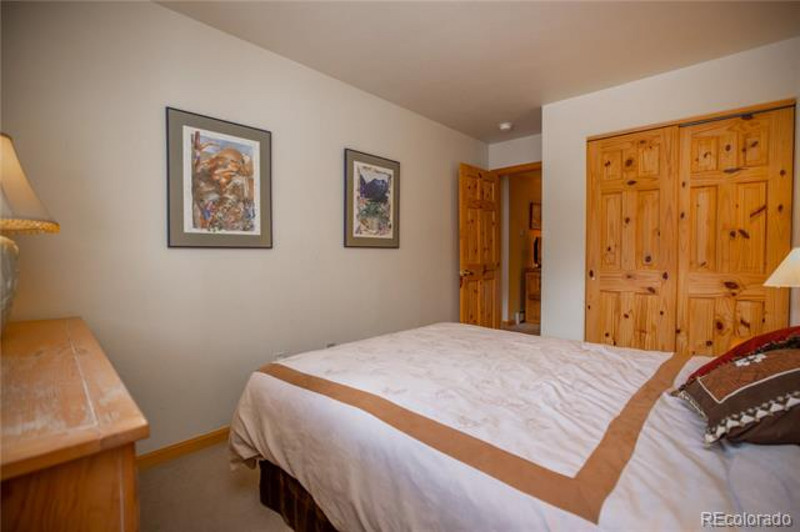 In the heart of the mountain area, this Quail Run unit is ideal. 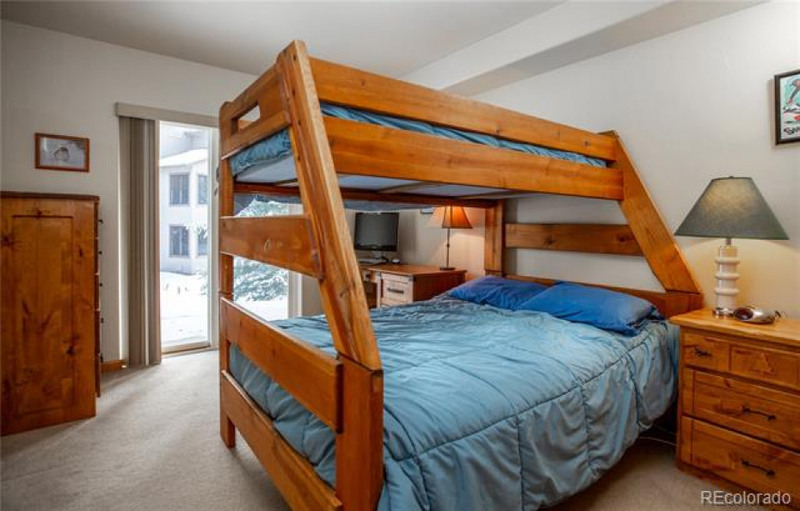 in location and condition. 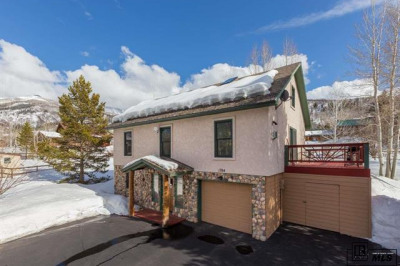 HOA fees include heat.